The noise and impact from Treadmills can travel to other parts of the building where it is heard as unwanted noise. Exercise mats are often too thin or too stiff to achieve any significant sound and impact reduction. 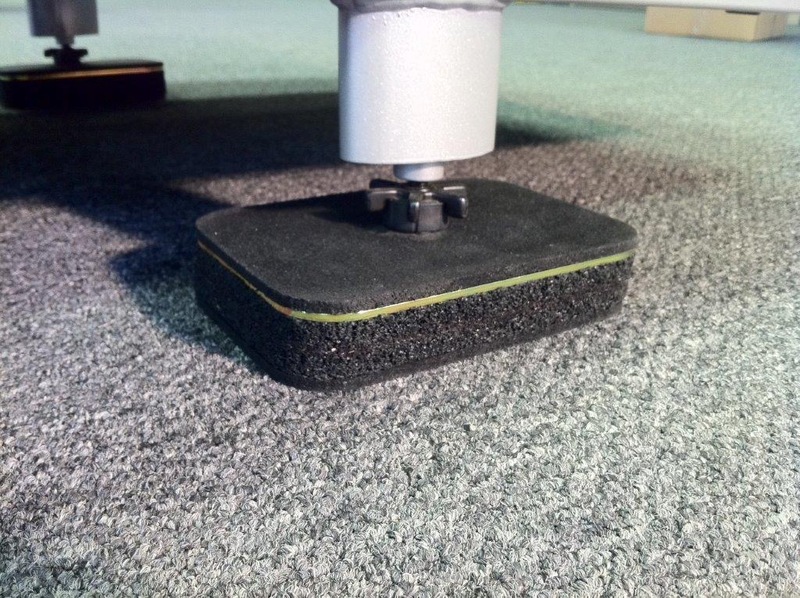 Goldline Treadmill Isolation Mounts are 2” thick layered isolation pads made from superior shock dampening materials. By combining ultra high performance elastomers with bearing plates – outstanding isolation values are achieved for the most problematic equipment.